Today, Beth will regale us with her wit and charm in a short interview. Thank you so much for inviting me to chat with you, Serena. 1. In Looking for Me (on Kobo), Teddi Overman has a gift for restoring old furniture, but she seems unable to cope with the past. How do you think her ability to restore furniture reflects her inability to address her own past or the life she leads after high school? Teddi adores her brother, and her hope for his survival is a tangled mess of guilt, unbearable grief, and even anger. These feelings translate into how she believes even the most severely damaged piece of furniture can be resurrected. By immersing herself in her craft, each repair represents how she’s trying to mend herself and her past. 2. Have you ever restored furniture or found a piece that just spoke to you? Though I’ve restored a few pieces, I don’t have the patience to do what Teddi did. She was a master. Yes, certain pieces speak to me, and when they do it’s like being reunited with an old friend. Years ago I walked by an antiques shop and saw a circa 1908 Herschell-Spillman carousel horse in the window. My reaction was so powerful that nothing could have stopped me from having him. He was far outside my budget, but I found ways to scrape together enough to finally bring him home. I named him Ziggy. 3. When we leave home, we often leave behind who we were or were expected to be, how is this true of Teddi and do you think those pieces we leave behind can ever be recaptured? 4. Between Saving CeeCee Honeycutt and Looking for Me, could you describe your experience in publishing and editing the books? How were they the same and how were they different? CeeCee’s story was my debut, and I had no idea what to expect once it was acquired. I had edited the manuscript with a ruthless hand, so the re-pub editing was minimal and easy. But when the book published I felt like I’d been shot out of a cannon! I’m an introvert, so having a big spotlight shined on my face was frightening. Plus, I didn’t know how grueling a book tour could be. But it was an amazing experience that I wouldn’t trade. When Looking for Me published I knew the ropes and had my feet beneath me, so I was better prepared. 5. What current projects are you working on? Care to share any details? I recently started a new novel, and so far I’m enthralled with the characters. The story takes place in two historic districts that sit back-to-back in Northern Kentucky (Newport and Covington). The two female main characters (one in her early 30s and one in her silver years) are both hiding something. It’s through their unusual friendship that their mysteries unfold. Thanks, Beth, for sharing a little bit about your books with us and about your new work. I know I cannot wait to read it! 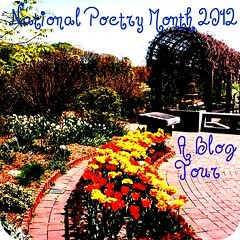 The number one reason why poetry has become a valuable part of my life is simple: it helps me be a better writer. I’m a novelist, and by reminding me to hone extraneous words from my sentences, poetry is my most respected and formidable teacher. Whenever I feel uninspired or stale or lazy, I’ll turn to poetry for inspiration and guidance. Sometimes that inspiration comes in the form of a slap in the face. A friendly slap, but a slap just the same. No other literary genre has the power to evoke imagery and emotions in so few words. And ditto for urging the reader to slow down and ponder those things that, at first blush, seem imponderable. Be it with a touch as light as morning’s breath, or the shattering blow of a hammer, poetry speaks to the deepest, most vulnerable parts of ourselves, if only we can slow down enough to listen. And think. This short video clip from the film DEAD POETS SOCIETY sums it up far better than I … What will your verse be? Looking for Me by Beth Hoffman is a coming of age story for Teddi Overman who has a gift for restoring old furniture that speaks to her. Her small, close-knit family from Kentucky is as diverse in background and interests as any family could be, with her brother Josh so attuned to nature — he’s almost as wild as the animals he observes and cares for — to her uptight mother Franny, who has secrets hidden deep inside. Teddi is an independent and stubborn girl whose life is altered when she meets an older man, Mr. Palmer, who’s passing through town. He buys a refurbished chest from her side-of-the-road shop and encourages her to follow her dream and look him up in South Carolina. When she graduates from high school, something irrevocably changes for her family as each member either seeks freedom or learns to find that freedom is already there. The double meaning in the title comes into play when her brother makes his flight from the family farm. The close relationship between Josh and Teddi is tender and endearing, but it also makes his lack of communication with his sister heart-breaking. In many ways, looking for me is not about Teddi finding herself — because she already knows who she is and what she wants out of life — but about her finding the piece of herself that went missing when her brother left. Early on in the story, even Teddi recognizes that leaving home means leaving something of yourself behind, and she even suggests that it’s a piece that cannot be reclaimed, but waits for your return and for you to remember. Recovering that piece of herself is a journey only she can accomplish, but even so, she can and does lean on the support system of friends she finds in Charleston. Olivia and Teddi tell each other like it is, and like most real-life friends, keep secrets from one another when they know the unsolicited advice they’d receive is not something they would want to hear. Teddi rebuilds and refinishes furniture, but in many ways she uses those same skills to restore her own family, which fell into disrepair through a series of missteps and miscommunications. Through a greater understanding of her mother and father’s motivations and backgrounds, Teddi is able to come to terms with her past and embrace her future fully. Grammy Belle, Josh, Sam, Albert, Inez, and Olivia will leave lasting impressions on Hoffman’s readers, causing them to be missed something fierce when the last page is turned. Second novels can suffer from harsh criticism, especially when they follow a wildly successful debut novel, like Saving Cee Cee Honeycutt (my review), but Looking for Me breaks through preconceived expectations to weave a story that will enchant readers with not only its southern charm and hospitality, but also the mysteries of family connections and miscommunications. Hoffman’s second novel is captivating from the first pages and will give readers hope that the future is brighter than we expect it to be. Another winner from an author I love. Twelve days after Beth Hoffman’s first novel was published in January 2010, she became a New York Times bestselling author with foreign rights selling to prestigious publishers in Italy, Germany, France, Poland, Norway, Hungary, Indonesia, Korea, Israel, and the United Kingdom. Beth lives, along with her husband and two very smart cats, in a restored Queen Anne home in a quaint historic district in Northern Kentucky. 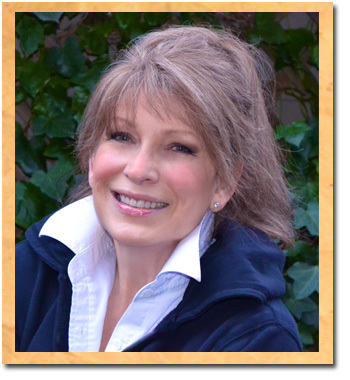 Her interests include the rescue of abandoned and abused animals, nature conservancy, birding, historic preservation, and antiquing. Visit her on Twitter and Facebook. 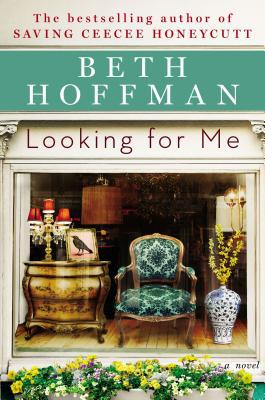 Congrats to Amy F who won a copy of Beth Hoffman’s Looking for Me. Beth Hoffman is a talented writer, and she keeps telling me that I increase her poetry to-read list, which makes me happy. However, today is not about poetry in the most literal sense, but in the sense that Hoffman has a wonderful writing style. I adored her first novel, Saving Cee Cee Honeycutt (my review), and I am looking forward to reading her new book, Looking for Me, on my upcoming vacation. Do I have you convinced yet? I am. If you’d like to win a paperback copy of Beth Hoffman’s Looking for Me, please leave your name, comment, and email address below. You must be 18 and up to enter. The giveaway copy has been provided by the author. 1. What Changes Everything by Masha Hamilton, which came unexpectedly from Unbridled Books. What Changes Everything is truly an American story on an international stage, told through an ensemble of heartening characters. In a gamble to save her kidnapped husband’s life, Clarissa Barbery makes the best decisions she can in the dark nights of Brooklyn. Stela Sidorova, who owns a used bookstore in Ohio, writes letter after letter hoping to comprehend the loss of a son on an Afghan battlefield and to reconnect with the son who abandoned her when his brother died. And Mandy Wilkens, the mother of a gravely wounded soldier from Texas, travels to Kabul to heal wounds of several kinds. At the same time, What Changes Everything is the story of two Afghans who reveal the complexity of their culture, the emotions that hold it together and those that threaten to fracture it. These lives are braided into an extraordinary novel about the grace of family. 2. 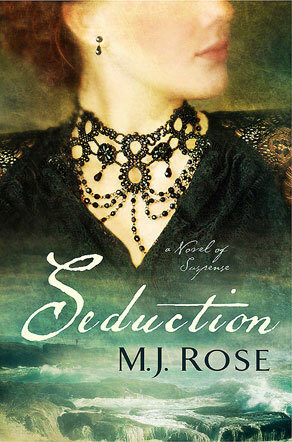 Seduction by M.J. Rose for review in May with Historical Fiction Virtual Book Tours. 3. Looking for Me by Beth Hoffman for review from the author. Teddi Overman found her life’s passion for furniture in a broken-down chair left on the side of the road in rural Kentucky. She learns to turn other people’s castoffs into beautifully restored antiques, and opens her own graciously-appointed shop in Charleston. Breathing new life into these discarded objects gives Teddi purpose, but has never alleviated the haunting uncertainty she’s felt in the years since her brother Josh’s mysterious disappearance. When signs emerge that Josh might still be alive, Teddi is drawn home to find him. It’s a journey that could help her come to terms with her shattered family—and to find herself at last. Looking for Me is an unforgettable novel that is full of Hoffman’s signature heart and humor—and a grown-up love story to boot. It is destined to make her a bestselling novelist readers will want to read again and again as they have with Adriana Trigiani, Fannie Flagg, and Dorothea Benton Frank. Today, I’ve got a real treat. Not only is one of my new favorite authors — Beth Hoffman, author of Saving CeeCee Honeycutt — visiting today, but she’s also sharing her love of a poem written by one of my favorite poets — Ted Kooser, a former U.S. Poet Laureate (2004 – 2006). I adore both of these writers immensely, and I’m so glad that today for National Poetry Month, they’ll be sharing the same space. Without further ado, please give Beth a warm welcome. I believe that statement to be true (and an ideal goal) in all writing, but especially in poetry. For an ill-chosen word that goes unnoticed or is forgivable in longer writings, surely is a disastrous bump in poetry. Word selection, imagery, and variations of tone through word values and sounds are vital to a poet’s successful composition. 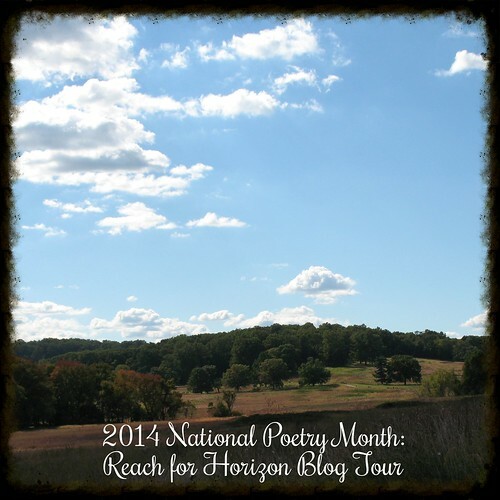 It is with these thoughts that I have selected to highlight my favorite work by poet laureate Ted Kooser. Mr. Kooser ranks high among the nation’s most esteemed poets and served as the United States Poet Laureate Consultant in Poetry to the Library of Congress from 2004 – 2006. He also won the Pulitzer Prize for his book of poems, Delights & Shadows (Copper Canyon Press, 2004). While countless poems have moved me to a state of wonder, it is a poem from Ted Kooser’s collection Flying at Night: Poems 1965-1985 (University of Pittsburgh Press) that evokes not only powerful imagery, but a delicacy of sadness and loss that is, in my opinion, visceral and genius. In a scant 126 perfectly selected words, he tells an entire story I never tire of reading, and I’d like to share it here. 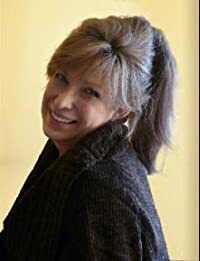 Beth Hoffman, a New York Times bestselling author, was the president and owner of a major interior design studio in Cincinnati, Ohio, before turning to writing full time. She lives with her husband and two cats in a quaint historic district in Newport, Kentucky. Saving CeeCee Honeycutt is her first novel. About the Poet:Ted Kooser was the United States Poet Laureate from 2004 to 2006 and won a Pulitzer Prize for his book of poems DELIGHTS AND SHADOWS. He is the author of twelve full-length volumes of poetry and several books of nonfiction, and his work has appeared in many periodicals. This is his first children’s book. He lives in Garland, Nebraska.Barry Root has illustrated many books for children, including THE CAT WHO LIKED POTATO SOUP by Terry Farish and THE BIRTHDAY TREE by Paul Fleischman. He lives in Quarryville, Pennsylvania. Beth Hoffman‘s debut novel, Saving CeeCee Honeycutt, has become a New York Times bestseller, and what a debut it is. Her novel is a prime example of what’s great about southern fiction from the enveloping summer heat of Georgia to the fragrant aroma of orchids and other flowers. CeeCee Honeycutt is a young girl living in Ohio mainly with her mother as her father travels weekly for his job, but she’s got more worries than just school and peer pressure — her mother is slowly losing her grip. Eventually, CeeCee comes to live with her great aunt Tallulah “Tootie” Caldwell, who is a busy society woman interested in preserving the historical structures in Savannah. In many ways the restoration of these homes resembles the rebuilding CeeCee must accomplish after her life is irrevocably altered. At the young age of 12, CeeCee must contend with tragedy, being an outcast, the confusing emotions about her parents, and fitting in with a society that is foreign to her. Hoffman creates dynamic characters in CeeCee, Mrs. Odell, Oletta, and Tootie, but she also has crafted a supporting cast of eccentric older women who are neighbors and have their own problems and tensions with one another. Picture large hats, garden parties, and soirees, and you’ll be transported in CeeCee’s Georgia, away from her hometown in Ohio. Readers will be absorbed in CeeCee’s evolution from young, responsible woman caring for her mother to a mischievous child lashing out and back to a young lady becoming content in her own skin. Hoffman does an excellent job of painting Georgia and its traditional society in a nostalgic hue that enables readers to grasp that CeeCee is remembering this period of her life fondly and with greater clarity than she probably did as a child. Saving CeeCee Honeycutt is captivating debut novel and coming-of-age story about a young lady who has lost her way, only to find a new chapter has begun. Beth Hoffman was the president and owner of a major interior design studio in Cincinnati, Ohio, before turning to writing full time. She lives with her husband and two cats in a quaint historic district in Newport, Kentucky. Saving CeeCee Honeycutt is her first novel. Thanks to Penguin and Inkwell Management for sending me a free copy of Saving CeeCee Honeycutt for review. 1. Leave a comment about why you want to read this book; don’t forget to let me know if you are living outside the United States or Canada. 2. Leave a comment on the guest post. 3. Blog, Tweet, Facebook, or otherwise spread the word about the giveaway and leave a comment on this post. 4. Become a Facebook fan of the blog and leave a comment. Deadline is June 2, 2010, at 11:59 PM EST. 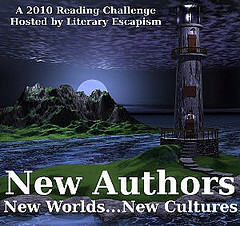 This is my 33rd book for the 2010 New Authors Challenge. Beth Hoffman‘s debut novel Saving CeeCee Honeycutt is a New York Times bestseller that is set in late 1960s Ohio and Georgia. The young protagonist Cecelia (CeeCee) Honeycutt has a hard life with a mother who has lost touch with reality and a father who is hardly at home. Stay tuned for my review of this novel on Friday, May 21. Today, we’re going to get a peek into Beth Hoffman‘s writing space. Please give her a warm welcome. When I made the decision to leave my career in interior design and pursue my dream of writing a novel, I had the idealistic thought that I’d take my laptop to the local park and sit at a picnic table overlooking the Ohio River. I imagined my fingers would blaze over the keyboard for hours, and now and then I’d stop to watch a coal barge lumber its way toward West Virginia. Oh, the serenity of that image was burned into my mind and I couldn’t wait to make it a reality. But, I soon discovered that I was the kind of writer who needed to be at a desk working on a big screen. I live in a restored Queen Anne (circa 1902), and on the second floor I created what I call the writing library. The room isn’t very large, but it’s cozy, filled with bookshelves and artwork that I love, and, it’s the perfect size for my needs. Three large windows are set in an ashlar-cut stone bay that overlooks the front gardens. Morning light floods into the room, and it has a fireplace that I keep burning throughout the winter. This is the room where I imagine, create, and dream. I’m happiest when I’m sitting at my desk in a totally quiet house, writing, researching, and developing characters and scenes with my cats sleeping at my feet. Though I don’t strive for a specific word count for each day, I’m quite disciplined and will spend a minimum of six hours working on my writing. When the muse is with me, I’ll often write well into the late night hours, or, until my hands grow numb! And, on those days when the muse is maddeningly silent, I’ll spend time researching and editing. Do I have a special totem? Yes, I do. My great aunt Mildred had a powerful impact upon when I was a child. She was a true Southern lady who possessed great charm and wit. She lived in a big old Greek revival home that I fell in love with, and, it was she who lit the fire I carry to this day. My great aunt introduced me to historical homes, antiques, and the power of the written word. In fact, the character of Tootie Caldwell in my novel, Saving CeeCee Honeycutt, is based upon my great aunt Mildred. One summer’s day I plucked a stone from her walkway and brought it home with me, and it has since become my totem. I keep it on the fireplace mantle and will oftentimes pick it up and hold it for a moment. The other thing that I look at to help me stay grounded is an antique carousel horse and teddy bear. From my desk I can peek around my computer screen and look into the den. By the fireplace sits these two happy creatures, and they remind me to smile easily and often, nurture a childlike spirit, and not take anything too seriously—the good or the bad. Thanks, Beth, for sharing your writing space with us. Wouldn’t you just love to get a sneak peek into those shelves? 1. Leave a comment about what book you think is on those shelves. 2. Blog, Tweet, Facebook, or spread the word about the giveaway and leave a link here. 3. 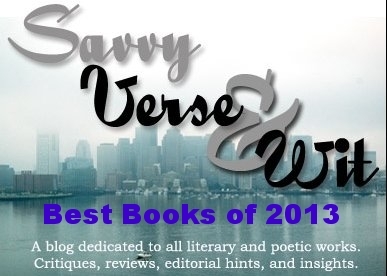 Become a Facebook Fan of Savvy Verse & Wit and leave a comment. Also, stay tuned Friday for another chance to enter the giveaway.